Annalisa is a projects and finance lawyer with over 20 years of experience in energy and infrastructure development across Asia. Prior to joining C&G Law, Annalisa was an Associate (from 1998 to 2003) and then Senior Associate (from 2003 to 2008) at SyCip Salazar Hernandez & Gatmaitan; a secondee at Anderson Mori & Tomotsune in Tokyo (from 2006 to 2007); and a legal counsel at the Asian Development Bank (from 2008 until October 2018). Annalisa has advised on private sector and public sector infrastructure projects in the Philippines and other countries in Asia, acting on behalf of project sponsors, commercial lenders, and an international financial institution. 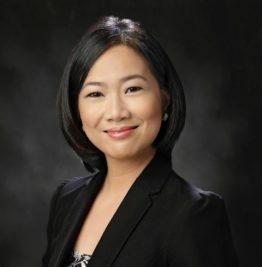 She specialises in energy, having started her legal career assisting and advising foreign and local companies in the implementation of independent power projects in the Philippines. Her practice later expanded to the development, financing and implementation of energy projects in other countries in Asia, including sovereign debt-financed conventional energy generation projects, power transmission projects, and power distribution projects in Uzbekistan, Pakistan, and other countries in Central and West Asia, and carbon-financed renewable energy and waste-to-energy generation projects in China, India and Southeast Asia. Her experience in Central and West Asia also grew to include other infrastructure projects, particularly in transport, water supply and sanitation, urban development, and natural resources. US$100 million financing for the construction of irrigation infrastructure and watershed protection and establishment and improvement of command areas in Balochistan, Pakistan. a solar (photovoltaic) power generation project by CECEP, one of the largest energy conservation and environmental protection enterprises in China. Assisted with and advised on the development and financing of the 1200-MW Ilijan combined cycle power plant, which is the largest natural gas power generation facility in the Philippines. Advised on the development and financing of STEAG State Power, Inc.’s 210-MW coal-fired power plant, which was the first coal-fired power plant to be constructed in Mindanao. Advised on other infrastructure projects and construction, foreign direct investments, establishment of business presence, joint ventures, acquisitions, and other matters. Acted as corporate secretary and advised on general corporate governance and compliance.